Want to retire in paradise or be your own boss? Stop looking! This one has it all and in a high traffic location! Plus, only 2 blocks away from Lemon Bay. This is YOUR Opportunity to Own Your Business on the Historic Dearborn Street in the Heart of the Old Englewood Village! 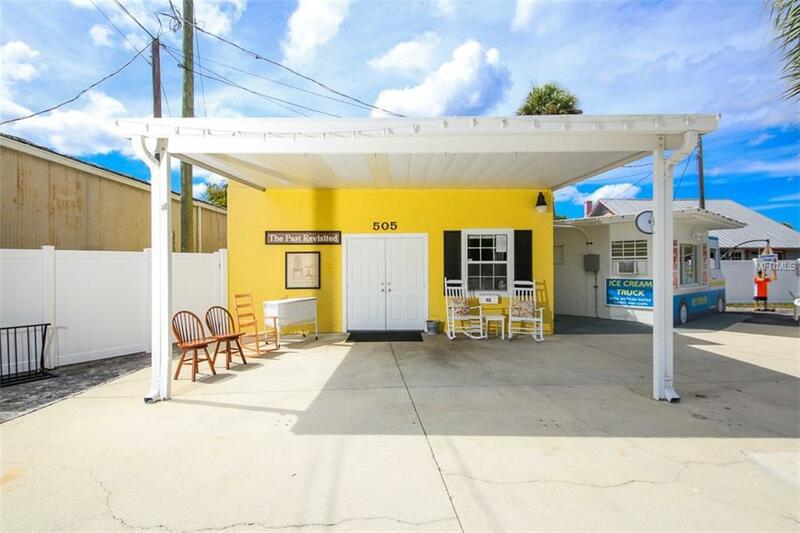 This CG Zoned Site is a Well Maintained Successful Antique & Ice Cream Shop. Owner is willing to sell the business (inventory for separate purchase) or buildings/land only - you choose. So many fun ideas of what building could be if this isn't you dream...give us a call and we can chat about all your options! Buildings are MOVE IN READY and have Newer Upgrades including: New Roofs, New Electrical, Downspouts & Gutters, Fresh Paint and New A/C's and New Vinyl Fence. The Ice Cream Truck building has 2 Bathrooms, one Inside and one with Outside access. One building is 23x25 (575 sq ft) w/ an overhang/outside area of 297 sq ft for added retail or multi-use. The second building is 12x12 (144 sq ft). Dearborn Street has been revitalized and has steady growth and lots of new businesses but has an Old Town feel and is a vibrant shopping location. Old Englewood Village includes Shops, Car Shows, Bike Nights, Festivals, Farmers Market, Parades and MANY Other Popular Events! Business offers Plenty of Parking and Room for Outside Seating & Displays. The Existing Sign Pole is a historic part of this property and is a great way for locals to remember the history of this building! Don't Miss the Opportunity, Call Today for your Private Showing!